You probably haven't heard of Jennifer Gates...or at least you probably hadn't before the Space Shuttle Columbia disaster. Gates is a news anchor with Canada's CBC Newsworld, which if you know anything about the CBC should tell you all you need to know already. In the "it's a small world" file, Gates used to be a newscaster in Sudbury, Ontario, the home of both your humble editor and the mighty Enter Stage Right. It was only minutes after the shuttle's destruction that Gates interviewed science fiction novelist Rob Sawyer, who will be the first to admit that he's not an expert on the shuttle. During that talk, Gates amazingly asked Sawyer whether the shuttle's destruction was due to "arrogance." So shocked was Sawyer that he all but mumbled that no, in fact, the explosion of the shuttle had little to do with arrogance, real or imagined. Not surprisingly, the blogosphere exploded with commentary about her question even as the mainstream media, with a few exceptions like Mark Steyn, all but ignored its implications. Here was a news anchor, respected if not particularly well known, questioning whether the death of seven astronauts -- six Americans and one Israeli -- and the loss of a space-going vehicle was the result of, let's say, America's foreign policy. Perhaps signing the Kyoto Protocol would have prevented the explosion. In a letter, senior executive producer Mark Bulgutch stated that it was clear that Gates' question had nothing to do with politics. In fact, he wrote, Gates is no less than "aghast" at the "interpretation" of her question when in fact she merely "mangled enough words into her question to blur her meaning." Funny, it came through pretty clear to me and a lot of other people. Let it never be said that we at Enter Stage Right cannot be surprised. It's also a lesson to us all never to prejudge a person. The person in this case is talk show host Oprah Winfrey. On October 9, Oprah performed a public service by devoting one a program to the issue of a potential war in Iraq. To that end, she invited Kenneth M. Pollack, author of The Threatening Storm to make a case for a war. Not surprisingly, most of the audience was opposed to or predisposed to be against another war with Saddam Hussein. 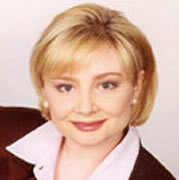 There were people like the German woman who immigrated to the United States three decades ago telling her fellow audience members that the world looked the other way while the Nazis committed horrors and another guest -- a survivor of the Hussein regime -- gave firsthand information including interesting tidbits that Iraq is the only government in the world who has rapists on its payroll -- Hussein pays to have dissident women raped -- but for the most part the mood was anti-war. It became interesting, however, when several members openly opposed the war. One woman stated that the United States had problems with Hussein during George. H.W. Bush's administration, none under Bill Clinton, and then more with Dubya, to which Oprah responded, "So you think it's a Bush thing? Don't you think that the problems were there with Clinton, he just looked the other way?" Another woman declared that the Bush administration was simply feeding Americans propaganda about Hussein. That earned a slight pause from Oprah and then a dismissive "Well, you're entitled to your opinion." As the show progressed, it became clear that Oprah was in favour of forcing a resolution to the problem of Iraq even if it involved military force, shocking when you remember that she's known more for the sentimental nature of her program then hard-line positions on foreign affairs. 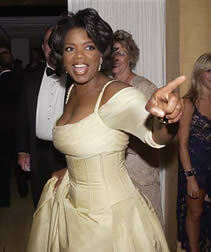 I doubt she'll be voting for Bush in 2004 but we welcome Oprah as a member of the honorable liberals. We may disagree with her on many issues but we'll always respect her for her sincerity of belief.